New research in genetic editing or artificial intelligence predicts profound changes in the next few years. The impact of climate change on health, economy, and landscape will also transform the way we relate to the world. These are examples of developments and scientific phenomena that have social, legal, and ethical implications that urgently require to hold a debate involving all sectors of society. But for this to be really effective, it needs to be carried out from scientific knowledge, and in this sense, the dissemination and communication of science are crucial so that all the players involved – politicians, technicians, and citizens – start from a well-informed basis. Disseminating the research, reporting the latest developments, analysing the challenges of science… all of this goes beyond a matter of promoting scientific culture and knowledge; the communication of science has become a matter of democratic health. According to Raül Toran, president of the Catalan Association for Science Communication (ACCC), «if people have better training and scientific knowledge they will be much more difficult to deceive and, therefore, our society will be more free and prepared for the challenges of the future». And yet, the latest Survey on the Social Perception of Science (FECYT, 2018) shows us that only 16.3% of the Spanish population has a spontaneous interest in science and technology matters, behind issues such as work (31.9%), sports (24.4%), or politics (22.7%). The first position is, of course, for medicine and health (37.9%), which do not cease to be a field where science and research have a lot to say; especially if we take into account the rise of the so-called alternative therapies and pseudoscience. In the lower positions of the list we find the environment and ecology, which hardly arouse the interest of 12.9% of the respondents. Therefore, we have a long way to go, although not everything is negative data. In the same survey we can observe a positive evolution of the perception of science by part of our society. Also, the scientific community has assumed as part of their task the communication of their results and the need to understand and improve the skills and communication routines as part of their work (Brownell, Price, & Steinman, 2013). For Carmen Agustín, scientific disseminator and Professor of Functional Biology at the University of Valencia, «dissemination is an obligation» for people who are dedicated to science. The work of scientists is no longer just writing papers or scientific articles, as the disseminator Pere Estupinyà also reminded in one of his latest articles in Mètode (Estupinyà, 2018). Now we need to pass the results on to society, the final addressee of the research. The universities and research centres, aware of this, have strengthened their scientific culture units in the last decade, and scientists are increasingly involved in dissemination activities of all kinds. «Our society is based on science and technology – explains Agustín – and it is necessary to transmit this knowledge so that the citizenry can make their own decisions». In addition to the quarterly journal and the yearly publication in English, Mètode edits the collection «Monografies Mètode». Diversity distinguishes this series of books that has explored the different genres of dissemination, such as dramatic texts with Oxigen. Una obra en vint escenes; biographies, with the autobiography (Autobiografia) of Charles Darwin, or short stories, with Científics lletraferits, a collection of twenty short stories by Catalan authors with scientific training. 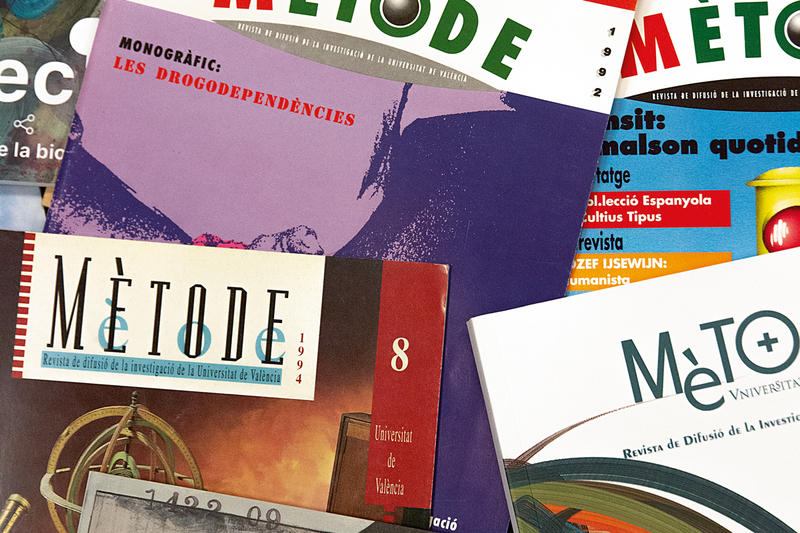 The first issue of Mètode appeared in 1992 as a result of this interest. 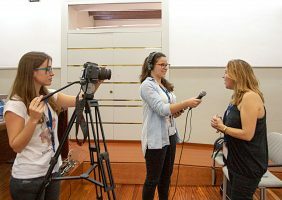 Under the direction of the journalist Olga Dénia, the journal was born with a clear calling to serve as a link between the University of Valencia and society. «We will try to explain what is being done at the University in the field of research, which are the general lines of research, and what is the contribution that the University provides, both to the problems that affect society and to the development of the scientific and technological progress», she detailed in the editorial. From that first issue, published in just two inks, collecting some of the university news and highlighting the role of research groups such as the Animal Physiology Unit, the journal has grown to become a reference in the field of the scientific communication; «the journal of scientific dissemination in the Catalan language par excellence», in the words of Toran. 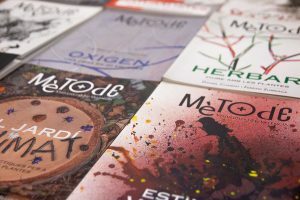 Currently directed by Martí Domínguez, a biologist and professor of journalism who has headed the publication since 1998, Mètode has evolved from its beginnings to become a publication of dissemination of general science, with collaborators from national and international centres, publishing a quarterly volume both in Catalan and Spanish, and a yearly publication in English – Mètode Science Studies Journal – included in the main influence and quality indexes. 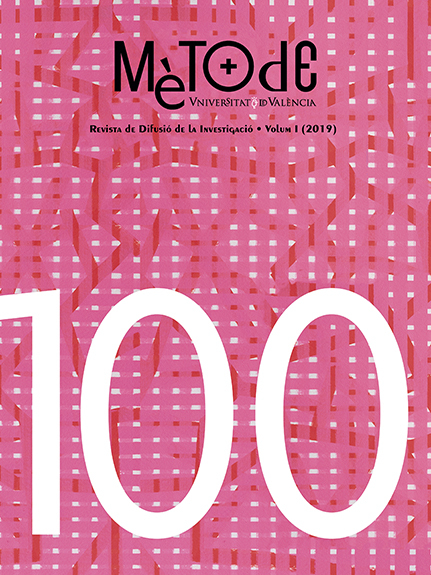 For the Vice-Principal for Research of the University of Valencia, Carlos Hermenegildo, the journal responds to a social demand to know what is done in the laboratories and where the money for science is invested. But for Hermenegildo, what makes Mètode different from the beginning is «the bet on quality in the scientific dissemination and the in-depth study of the topics it deals with». The pages of Mètode are not only dedicated to scientific dissemination, they also focus on studying science, its communication, and its social implications. The latest monographs of the journal are examples of this, with special sections dedicated to the communication of biotechnology, the way literature deals with medicine, or the new relations between machines and humans through artificial intelligence. 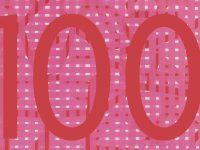 What has changed over the course of these 100 issues of Mètode? Since the 1990s, the scientific community has already fully assumed the need to communicate their results to society. If a few years ago, it was even frowned upon that the research staff dedicated part of their time to the dissemination, now many research projects include the broadcasting of the results as a further stage in the process, and even the latest call for evaluation of the research activity has introduced the novelty of the six-year transfer term, which recognises the work of dissemination by the teaching and research staff. Therefore, there is more and more communication and through a broader variety of channels; now the challenge is to make this communication actually effective (Besley, Dudo, & Yuan, 2017). 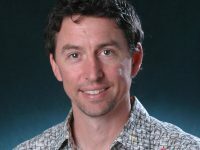 As Dominque Brossard, Professor of Communication at the University of Wisconsin-Madison and member of the scientific board of Mètode, pointed out in the monograph of the journal dedicated precisely to the analysis of the relations between science and the media (2014), «scientific journalism (as all current journalism) is faced with the need to adapt to new formats of broadcasting, as well as new forms of exchange of information». Mètode’s target audience is a public not necessarily specialised in science, although certainly interested in scientific knowledge and information. Thus highlights Pampa García Molina, coordinator and editor-in-chief of the Information and Scientific News Service (SINC) Agency: «Mètode is an inspiration for those who are particularly interested in science and its communication». 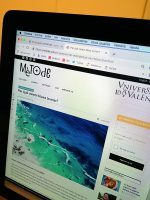 According to the journalist from SINC, a scientific information service launched by the Spanish Foundation for Science and Technology (FECYT) which has recently turned ten years old, Mètode means «high-level dissemination and aesthetic taste». The design and print quality is also one of the highlights mentioned by Martin Bauer, professor at the London School of Economics and member of the scientific board of the journal: «Mètode combines ambition together with high-quality printing and visuals ». Being able to hold such a journal is a significant issue for the former director of Public Understanding of Science, who defines himself as «someone who appreciates paper in a time when visual formats seem to rule». However, in recent years, the journal has tried to establish different levels of communication in order to cover a wider audience. From Mètode we have made an effort to adapt communication to different platforms, with successful initiatives such as «Mètode’s whys and wherefores» or the Youtube channel Mètode TV. The website of the journal, with over 100,000 monthly visits and the activity on social networks such as Twitter, Facebook, or Instagram have become additional tools for the dissemination of the contents. In the times of fake news, setting up good scientific communication on the Internet is crucial to counter information with little scientific foundation. While it is true that, as highlighted in the journal Science last year, social networks are an instrument where untruthful information is spread quickly (Vosoughi, Roy & Aral, 2018), at the same time, web platforms such as Twitter have become a tool that allows researchers to spread their research effectively and directly both to the scientific community and to the general public (Lamb, Gilbert & Ford, 2018). In the Youtube channel Mètode TV, reports and interviews are published, as well as reviews in video format. In this sense, Laia Torres, editor-in-chief of Investigación y Ciencia, the Spanish edition of Scientific American, believes that «scientific knowledge empowers and enriches». For Torres, «science transmits and fosters critical thinking, rationality and the value of strong reasoning based on data, indispensable tools to combat the post-truth and credulity that obscure our times». For the journalist, Mètode «draws a richer landscape, with a clear role of the human and social dimensions of the scientific enterprise». The collaboration of artists in the journal is another of the matters noted by Laia Torres, for whom this confluence between science and arts «shows an aesthetic sensitivity unusual in the sector and this is another of its distinguishing features». As a university journal, led by a professor of journalism, Mètode does not forget its role in the training of journalists and science communicators. Over these years, more than sixty students of different specialties have spent some time in our editorial office. One of the largest groups has been undergraduates in journalism and audiovisual communication. Laura Garsando did her internship in Mètode during the academic course of 2012/2013. According to the journalist, currently the editor of the website of the Valencian public television channel À Punt, this experience was very positive, as it allowed her to «learn how to treat scientific information rigorously», an aspect that she considers «especially necessary for the professionals of information». But the journal has also hosted students from scientific degrees, with the aim of introducing scientists-in-training in the field of dissemination. One of the first students to collaborate with Mètode was Marcos Morales, a student of biology in 2015 for whom the internship became an important event both at a personal and professional level. «Mètode teaches us all that science is not only carried out at laboratories with revolutionary discoveries, but also in the day-to-day work of a journal», explains Morales. Also for Àlex Sepúlveda, his period in the journal in summer 2016 meant his first contact with scientific dissemination: «It was the perfect opportunity to see the world of science dissemination first-hand». 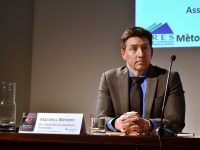 The palaeontologist, who now works in the Palaeontological Museum of Alpuente (MUPAL), believes that scientists have a duty with society: «Transmitting science is a way to fulfil it». 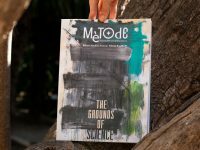 In 2011, with the birth of Mètode Science Studies Journal, Mètode made a bet on greater depth and analysis capacity, focusing on the idea of the journal as a place to reflect upon science. The pages of Mètode continued to be focused on the dissemination, but at the same time they also studied science, its communication, and its social implications. The latest monographs are examples of this, with special sections dedicated to the communication of biotechnology or to the incidence of pseudoscience in our society. 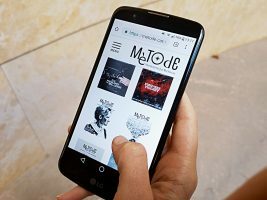 This aspect of reflection and analysis of science is the one highlighted by Ramon Folch, contributor and author of the section Sociofolcology: «Mètode helps to build a shared scientific thought, it creates a common space for a wide community of users». For the socioecologist, the journal «does more than communicate discoveries, it socialises thought». Brownell, S. E., Price, J. V., & Steinman, L. (2013). Science Communication to the General Public: Why we need to teach undergraduate and graduate students this skill as part of their formal scientific training. Journal of Undergraduate Neuroscience Education, 12(1), 6–10. Estupinyà, P. (2018). La comunicació científica ‘mission oriented’. Mètode: Revista de Difusió de la Investigació, 99, 112–113. Mètode 100. Online only. .